Explore the Reno Valley by bike on a self-guided tour that includes round-trip train tickets from Bologna. 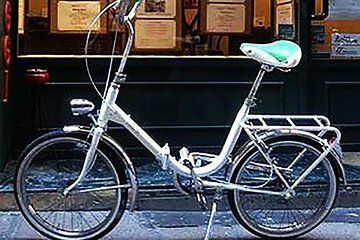 Cycle with the folding bike, taking in villages such as Sasso Marconi, Porretta Terme, and Valsamoggia, which are known for medieval castles, vineyards, thermal spas, hiking trails, and delicious food. Simply start at a central meeting point, where the staff outfits you with the bike, train tickets, lunch voucher, and admission tickets for a museum and hot springs.